This new state-of-the-art space will help ensure that the Johns Hopkins School of Nursing will keep pace with changes in education, research, and student needs, and help continue our status as the nursing education thought leader in the United States and throughout the world. A donation to this fund is a once-in-a-generation opportunity for people with a keen interest in nursing education, a vision for the future of health care, and a commitment to helping meet the needs of future generations of nursing students. Your gift will be a lasting investment in student academic success, expert faculty recruitment, and health care research. Johns Hopkins Nursing history is built upon leadership, bold decision making, and seizing the moment while keeping an eye toward the future. Today, the opportunity for local and global impact on health care has never been so great or so essential. JHSON once again has a chance to establish its place at the forefront of insight and innovation. We have outgrown our home. As the No. 1-ranked school of nursing for total research funding, we are in desperate need for more space. Our doctoral and master’s programs are expanding exponentially, increasing the number of bright, gifted people in our midst but also the challenges of fulfilling our promise to help them become the next great nursing path setters. That JHSON is the No. 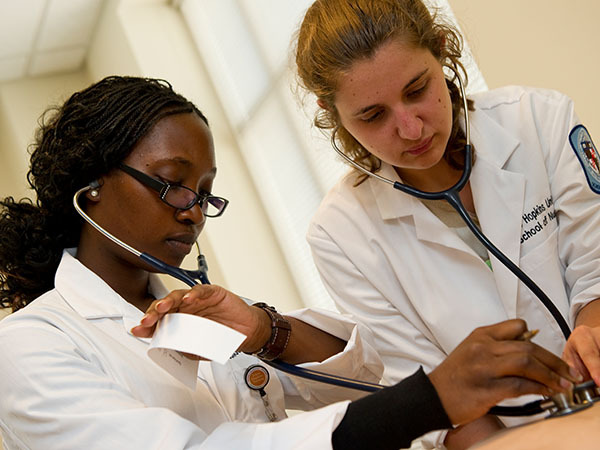 2-ranked graduate school of nursing nationally and No. 2 globally today is a testament to a commitment to the pursuit of excellence and knowledge that defies convention and betters humanity. In addition, a changing world brings new patient-care challenges to our doorstep every day. JHSON will become a hub of innovation, collaboration, and impact. Open spaces will allow for national and international conferences and meetings that must now be held offsite. Contemplative, flexible areas and ready technology will attract thought leaders for study, research, and partnership. Since 1889, we have prepared nurses who provide safe, top-quality care. This project’s ultimate byproduct will be person-centered care today and innovations that improve lives for years to come. It is our moment.